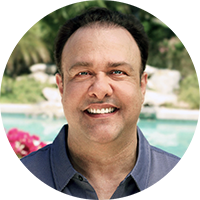 As founder of Vitasome Labs, Inc., Mr. Yiannios is considered to be the visionary mastermind behind Vitasome’s patented liposome encapsulation and delivery technology. With a personal mission to bring health and vitality to the world, Mr. Yiannios entered medical school with ambitions of becoming a doctor. Having excelled in chemistry and engineering, his talent for scientific innovation garnered acclaim and opportunity in the fields of aerospace, commercial electronics and medical sciences. Throughout his career, Mr. Yiannios has filed numerous patents and successfully brought to market a variety of products in the aviation, telecommunications, healthcare and nutritional supplements industries. With more than two decades of entrepreneurial and executive leadership experience, he has served as Executive Vice President of Calstar Technologies, a telecommunications equipment manufacturer, Co-Founder of Northstar Engineering, a subcontract manufacturer that supplied various fabrication services to the aerospace, medical and commercial electronics industries, and Co-Founder and COO of Devinecare Inc., a Philippines-based call center grossing $12 million in sales. Mr. Yiannios considers his work at Vitasome to be a labor of love, born from his desire to solve the perplexing problems of limited bioavailability and wasted nutritional value that are common to most vitamin supplements on the market today. Through years of research and laboratory study, Mr. Yiannos has successfully developed a number of ground-breaking new products for Vitasome by employing his patented liposome technology, which has potential to revolutionize the vitamin industry. Mr. Yiannos currently divides his time between the United States and Philippines with his infant son and wife, May, a nursing graduate of Fatima University, Philippines who continues to inspire his ongoing development of Vitasome’s line of nutritional supplements.